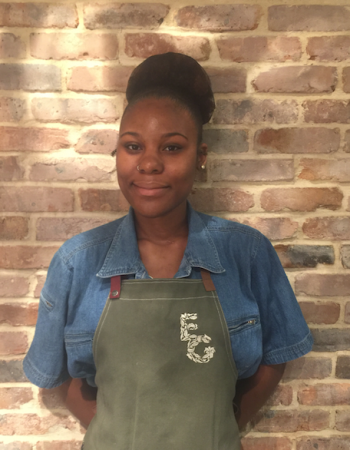 A New Orleans native – Leith was raised by a health food enthusiast in spite of being from the land of booze, butter, and beignets. 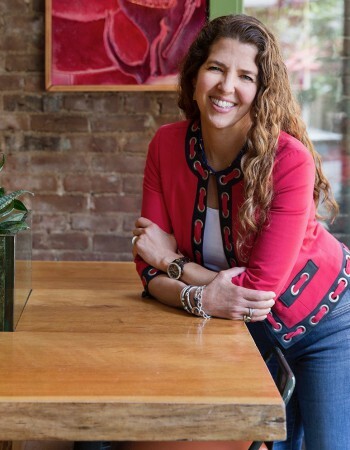 Always passionate and energized about food, life, community, and play, Leith brings a relaxed, garden atmosphere to the West Village. 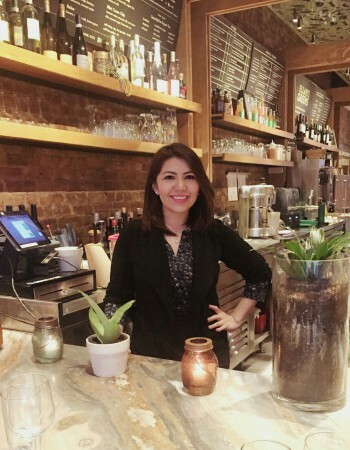 Come say hi and join her for a glass of organic juice or wine – she often drinks both at the same time! 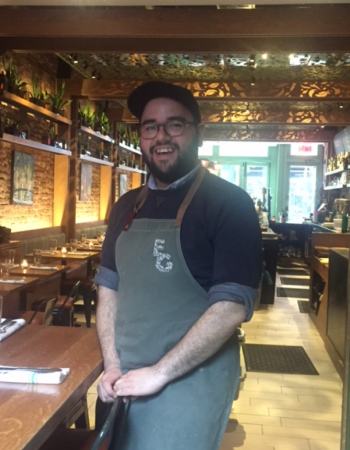 Kurt has been with Ellary’s Greens since we opened our doors in 2013 and started his career trying to decide on becoming a pilot or a chef…we’re delighted he chose chef-ing! 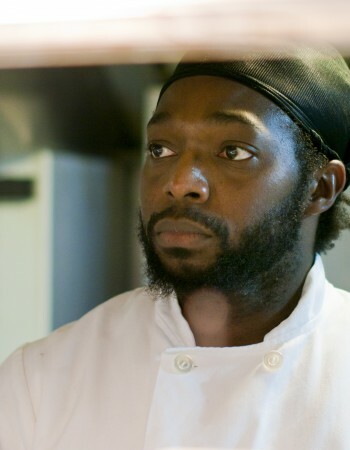 Kurt learned to cook with his mother in Trinidad and Tobago where he was raised; he fondly refers to her as, “the greatest cook in the world!” Kurt perfected his culinary skills at culinary school in New York City and began his career at God’s Love We Deliver West SoHo, a non-profit kitchen preparing and delivering 4,000 meals daily to people who are too sick to shop and cook for themselves. When out of the kitchen, Kurt loves to play rugby; let him know if you’d like to join his scrum! 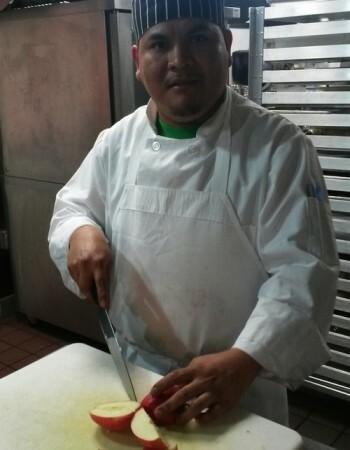 Alejandro was born in Mexico City and now calls Staten Island home. 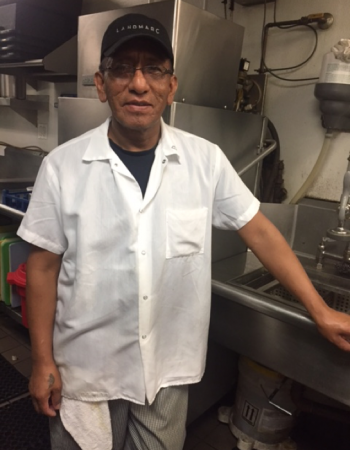 He loves to spend time with his family – Alejandro especially enjoys taking his kids to the park and making meals for his loved ones. 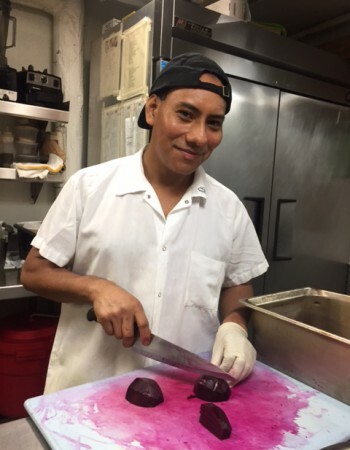 At Ellary’s Greens, Alejandro’s favorite items to create are the soups – and we’re so glad because his creations are masterful! 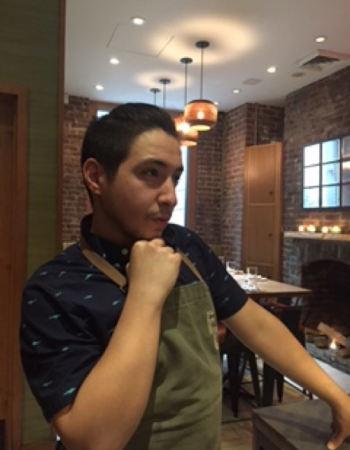 Alejandro joined our team in 2014. Raised in the mountains of Bucovina, Romania “the most beautiful region!” Gina joined Team EG as lead manager minutes after we first opened in 2013, and she has grown with Ellary’s Greens since and leads our team with strength, care, and many years of industry experience. She loves our house-cured, house-smoked bacon as it takes her back to her days on her family’s organic farm in the Romanian countryside, “The moment I tasted the bacon I experienced the Proust Phenomenon…it took me back to my childhood and my father’s homemade bacon.” Gina keeps us all in line, and she organizes and labels everything; we often joke that if we stand in one place for too long she will label us! Come witness her magic touch! 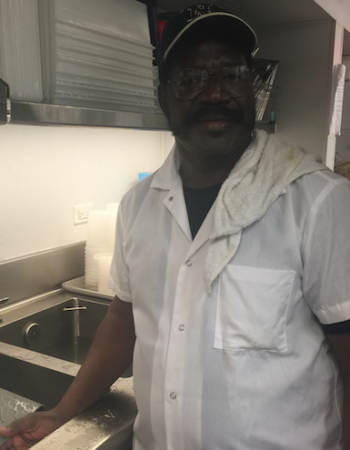 Tommy takes part in most positions at Ellary’s Greens, he is THE senior server at 33, he loves serving people good, clean and healthy food. His favorite item in the menu is the BLT (He could it it everyday!) he also loves the smoothies specially getting creative making them. George was born in Ohio and grew up in New York and Houston as well. He’s a student at Mercy College and studies computer science. If he’s not at work or school, you can definitely find him attached to his computer. His favorite Ellary’s Greens item is the BLT. 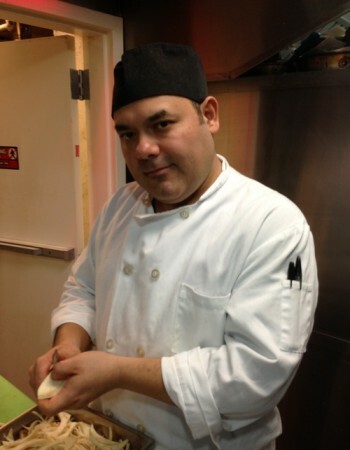 Honario is originally from a small town in called Orizaba in the Mexican state of Veracruz. 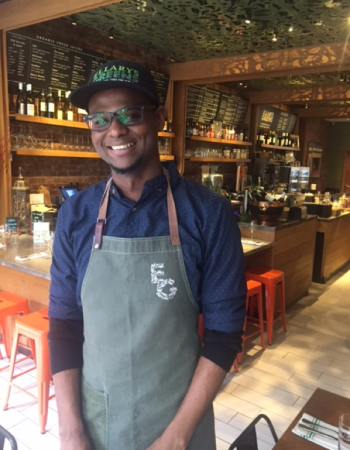 He says that since he’s started working at Ellary’s Greens, his life changed with all the tasty and healthy food, and he loves working with such a good team. On the weekends he likes to go dancing. His favorite dishes are the Steamed Kale, Steamed Chicken, and the Curly Kale Salad. Originally from Orlando Florida Akmal moved to NY to pursue his passion for improv and comedy. 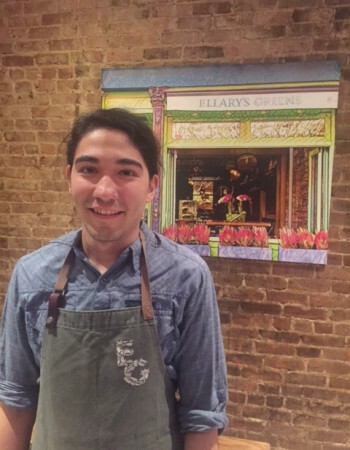 His favorite dish at Ellary’s Greens is the grilled salmon. 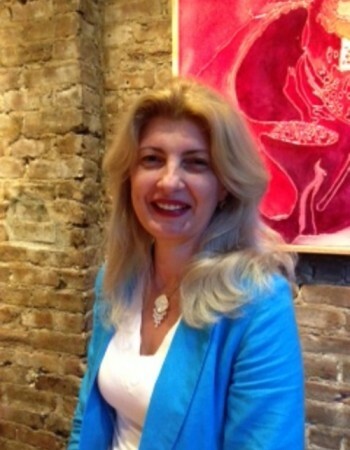 Majda was born in Bosnia and Herzegovina. 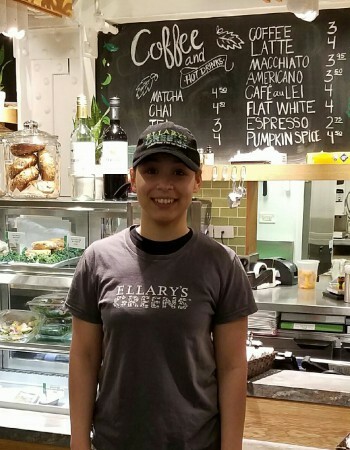 She likes working at Ellary’s Greens because of its great, energetic vibe. She said her co-workers are fun to work with because they are smart, positive and hard-working. She definitely loves all the juices and smoothies from he menu. Alpha is very dedicated to quality assurance. He likes the energy that everybody puts into their work at Ellary’s Greens. 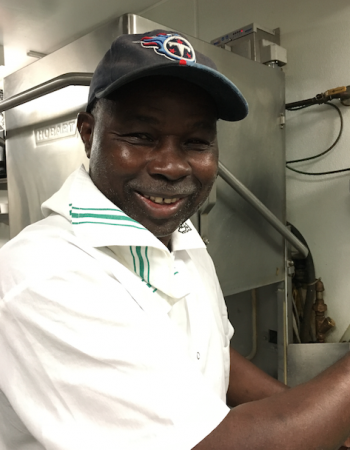 Alpha grew up in Guinea Conakry, but he has also lived in Djibouti, & in Democratic Republic of Congo. He now lives in Harlem. 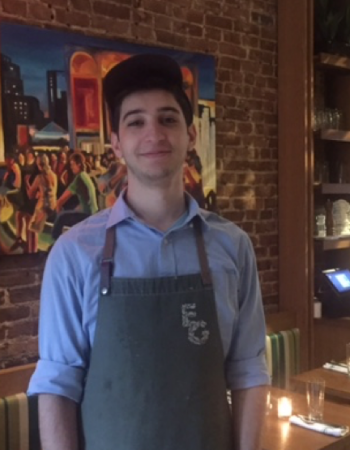 The Pan-Seared Salmon is his favorite dish at Ellary’s Greens and he firmly believes that hot desserts are weird. Nikita loves the menu and how cute the restaurant is at Ellary’s Greens. 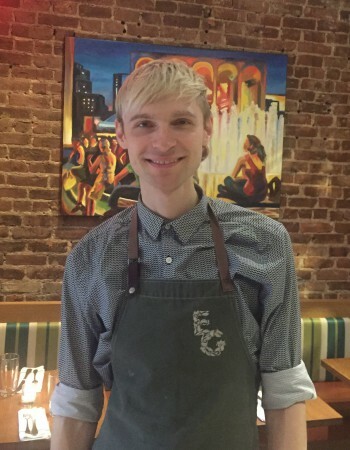 He appreciates how everybody is “chill and fun to work with.” Originally from Krasnoyarsk city, Russia, Nikita now resides in Washington Heights. His favorite menu item is the Chocolate Mousse. Fun fact – Nikita was born on Friday the 13th. Being a juicer brings Charina joy and satisfaction knowing she is preparing someone’s order that helps make their day better. 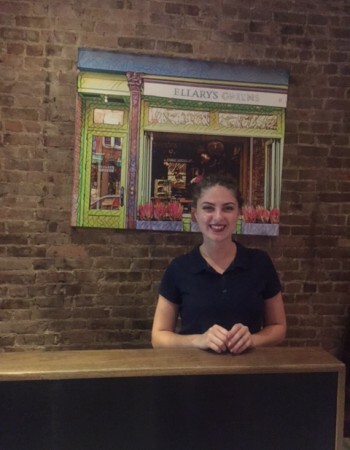 She loves the culture of the restaurant and the team, and the healthy food we serve. 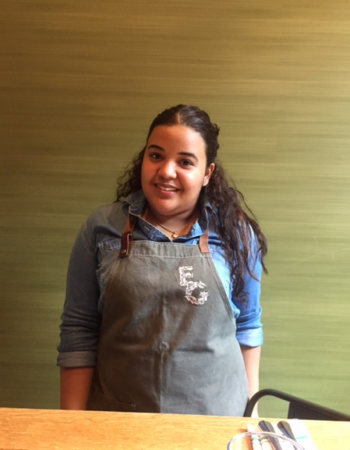 Charina grew up in the Dominican Republic and now lives in Manhattan. Her favorite item on the menu is the Seriously Seasonal Lasagna and she loves makeup. 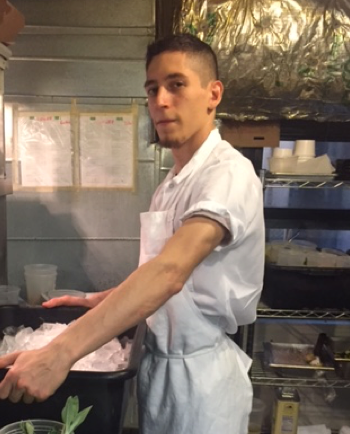 Josh strives to “make the world a better place” as a line cook. 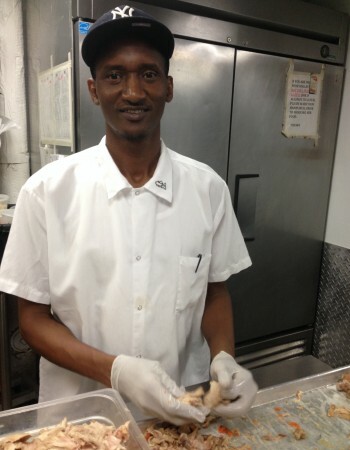 He loves being able to work with healthy food and that Ellary’s Greens is still a new and thriving culture. Josh grew up and still resides in Queens. His favorite menu item is the Pan-Seared Salmon. When he is not working, Josh is busy practicing mixed martial arts. Dembo is originally from Serrakunda, Gambia. He says he lives in the best city in the world! Outside of work he likes to watch sports and the news. 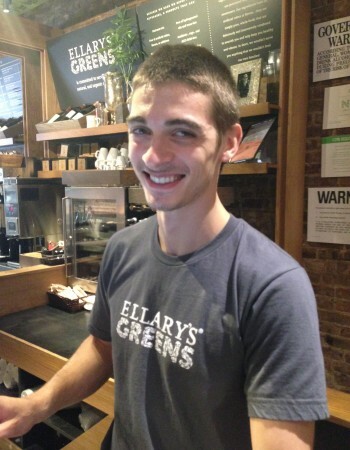 He loves that everyone at Ellary’s Greens is “super, super cool with a great sense of humor”. His favorite Ellary’s Greens item is the Chicken Burger special. Humberto grew up in Mexico. 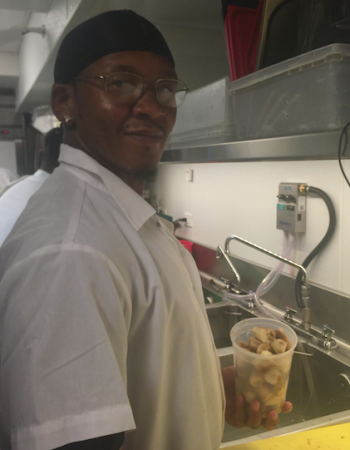 He enjoys preparing the “family meal” and make everyone happy with it!. His favorite Ellary’s Greens item is the pan-seared salmon. Mino is from Puebla, Mexico. On his days off, he loves to cook for his family. While at work, he loves that he’s always busy and doing what he loves. His favorite dish is the Thai Tofu Curry. Yanilda studies Health Administrative Services. 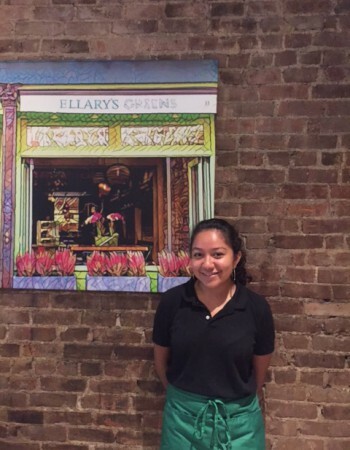 She Enjoys helping others and her Favorite Ellary’s Greens dish is the Chicken & Avocado Panini.